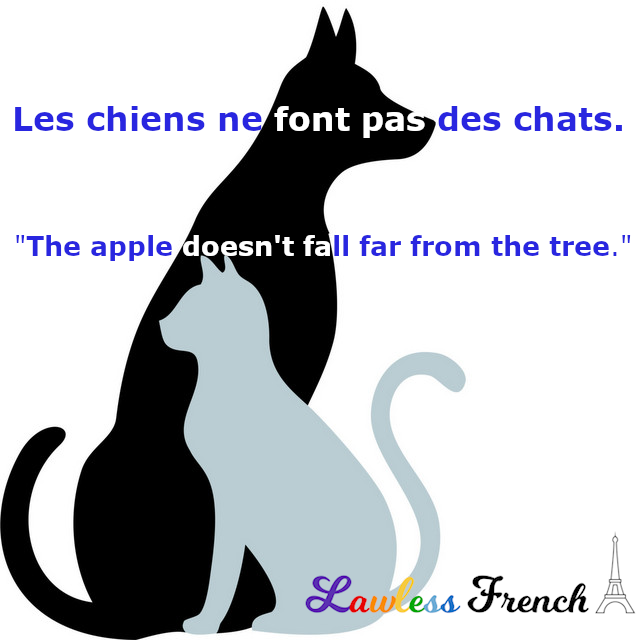 Usage notes: The French proverb les chiens ne font pas des chats is a colorful way of saying that children resemble their parents in character; that is, in attitudes, beliefs, goals, talents, etc. According to this expression, it’s logical for children to be like their parents in the same way that it’s logical for puppies to behave like dogs, rather than cats. The English equivalent, “The apple doesn’t fall far from the tree,” makes the same point in a different way. Rather than insisting on the fact that the parent and child are the same species, the English expression opines that the similarity in character is due to the child (apple) being separate from yet staying close to the parent (tree). – Ta fille va aussi être médecin ? – Bien sûr ! 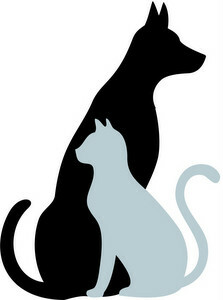 Les chiens ne font pas des chats ! – Your daughter is going to be a doctor too? – Of course! The apple doesn’t fall far from the tree! Elle joue au piano aussi bien que toi, les chiens ne font pas des chats ! She plays the piano as well as you, the apple doesn’t fall far from the tree!